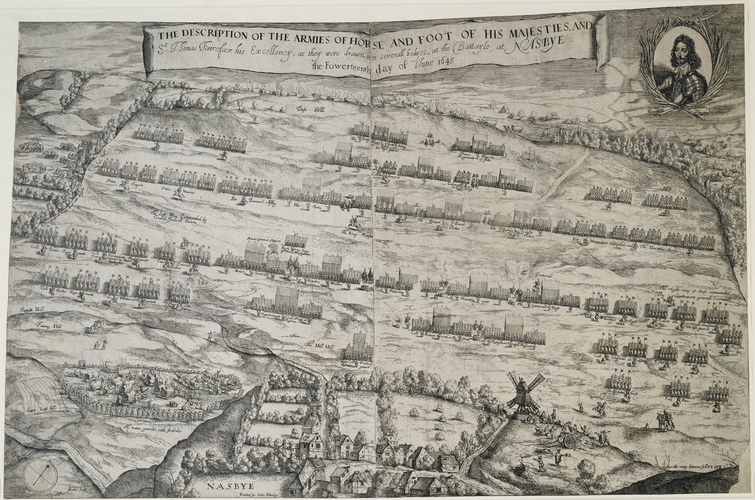 The famous engraving of the order of battle at Naseby is generally known as Streeter's map. In fact that is how I refer to it throughout this blog. 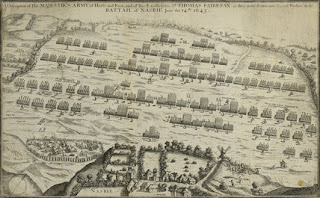 Eagle eyed amongst you will notice that there are two versions of the plan of Naseby, one with a portrait of the Fairfax top right, and one without. 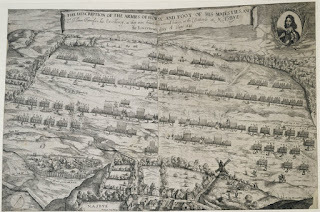 The Royal Collection, and the British Museum both have a copy with Fairfax on and attribute these to Streeter. Robert Streeter, sometimes Streater, 1624-80 (or 1621-79 depending upon your source material) was a painter and etcher. Widely known and celebrated he was mentioned by Pepys in his diaries. 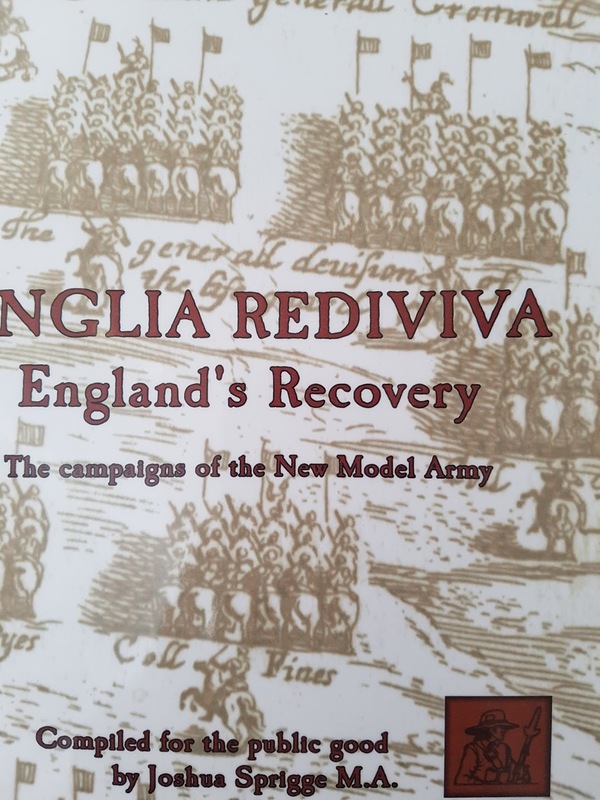 This is where Sprigge comes in: the plan is sometimes attributed to Joshua Sprigge as the illustration appeared in his book "Anglia rediviva: England's recovery: being the history of the motions, actions and successes of the army under the immediate conduct of His Excellency Sir Thomas Fairfax, Captain-General of all the Parliament's forces in England". 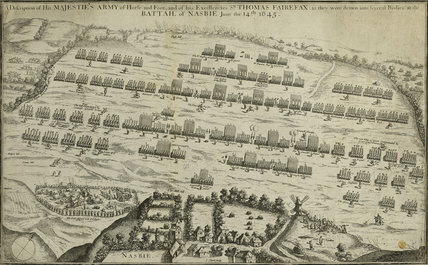 Sprigge wrote the book (and incidentally was Sir Thomas's chaplain), Streeter created the plan. So the big question is which is the original version? Further investigation has provided an answer: the British Museum document that the Fairfax version by Streeter is the original, and the version without Fairfax was Sturt's copy of Streeter's original. Streeter's original was first produced in 1647, Sturt's from c1680. I imagine that Sturt was playing to the restored monarchy, which would explain the removal of Black Tom. 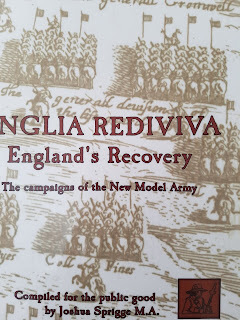 Update: prints and postcards of both the Streeter and Sturt versions of the plan can be purchased from Magnolia Box. A print on demand business they also have listed in their catalogue a number of portraits and wood prints of generals and notable figures.